20 folk songs from around the world, masterfully arranged by Phillip Keveren.Titles: A La Nanita Nana (Hear Lullabies and Sleep Now) • Barbara Allen • Bury Me Not on the Lone Prairie • Down in the Valley • Guantanamera • Hatikvah (With Hope) • Molly Malone (Cockles & Mussels) • Sakura (Cherry Blossoms) • Yankee Doodle • and more. 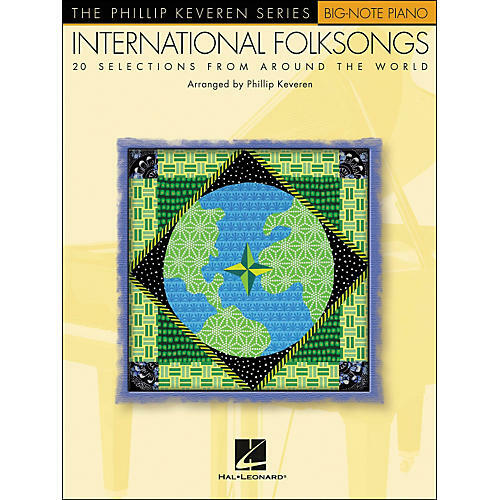 20 folk songs from around the world, masterfully arranged by Phillip Keveren. Titles: A La Nanita Nana (Hear Lullabies and Sleep Now) • Barbara Allen • Bury Me Not on the Lone Prairie • Down in the Valley • Guantanamera • Hatikvah (With Hope) • Molly Malone (Cockles & Mussels) • Sakura (Cherry Blossoms) • Yankee Doodle • and more.